Silver needle white tea is the finest white tea among all the varieties. It is made only of silvery white buds that are handpicked and also harvested only two days out of the year. 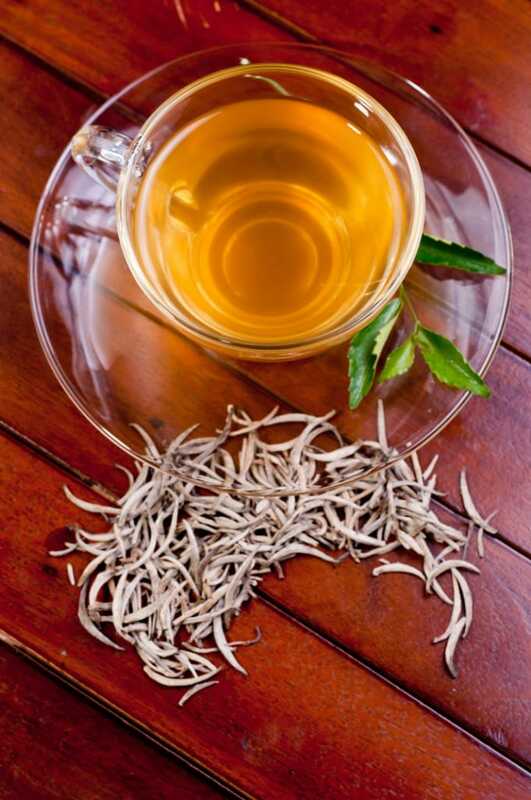 While being rare this white tea can be re-infused two or more times. This tea is not only a delight to consume but is also beneficial in beauty treatments, it can be added to a bath for a luxurious skin treatment and also ground into a powder that can be mixed with honey to provide a mask that rejuvenates skin. 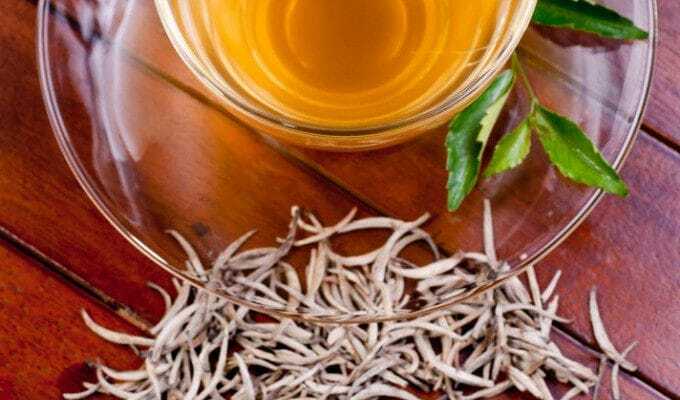 Silver needle white tea contains numerous health benefits such as regulating blood glucose and metabolizing fat, it also contains vast amounts of anti oxidants. Silver needle white is the best among white teas for mixing with flavored or scented teas, so you get all the white tea health benefits without any disruption caused to the taste. This is the next highest quality white tea, it consists of buds and leaves. The best White Peony has buds and leaves covered with silvery white hair. The aroma of this tea is fresh and floral, with a note of a malt undertone. White Peony that is better in quality is one of the easiest teas to infuse, it is rather difficult to produce a strong cup of tea, unless you are determined to. Most White Peony teas are suitable for higher infusion temperatures, but the tea tastes much smoother if the temperatures are kept between 90-95 degrees C. White Peony is also abundant with health benefits, if green tea is too strong a tea for you then you can definitely change to White Peony tea, as it contains all the benefits of green tea, but has a sweet floral taste. Long Life Eyebrow tea is produced from naturally withered upper leaves and tips. The tea has a light aroma, and it tastes sweet but strong, if the tea is steeped for a longer period it ultimately gives you a bitter tasting tea. When brewed the tea has an orange, yellow color. The tea is named for the long, thin, crescent-shaped leaves used in production and is also considered to be a rare tea. Tribute eyebrow is considered to be a lower grade of white tea, as it is processed more than the Silver needle white tea and White Peony tea and is also harvested after silver needle and white peony tea. It has a darker appearance and is similar to Long life eyebrow tea. When brewed it is dark and has a rather earthy taste to it. 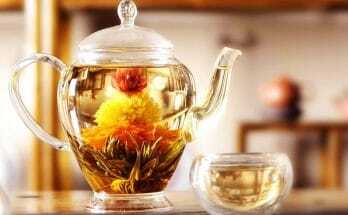 There are number of other varieties of white tea, some named after the region of origin, and others for the special ingredients added to the leaves and buds. 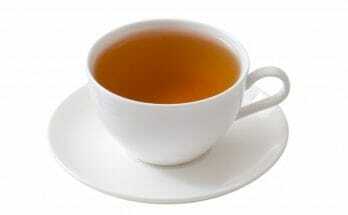 Fruits are a popular addition to white tea and it further sweetens the flavor. 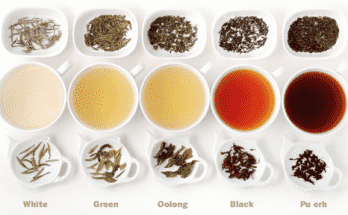 Each variety of white tea has something different to offer. So rather than sticking to a single variety, why not try all and expand your pallet.